GAFI featured in First News! 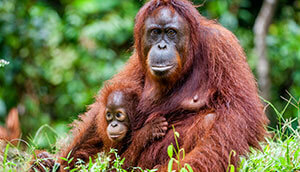 Orang-utans. 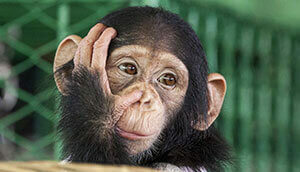 The fifth Great Ape is a human! The cinema is powered by pedalling a bike and we all had the chance to try it out. 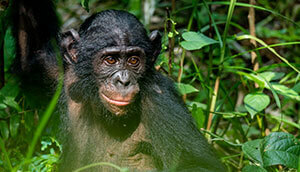 Denis takes the PPC the heart of the remotest communities in Uganda, to show local children films about the importance of conserving their local environment, in particular the habitats of the Great Apes. 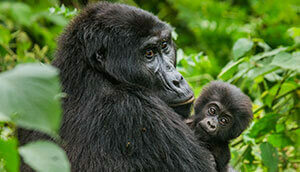 Many of these children have no idea that these endangered animals live in so close to their homes and villages and have never seen a Great Ape before. Watching films through PPC allows them to realise that they have a vital responsibility to protect their local environment and the endangered creatures that live within it. We have raised money to send to Uganda to help to buy more pedal powered cinemas and our schools are now going to twin with two schools in Uganda. 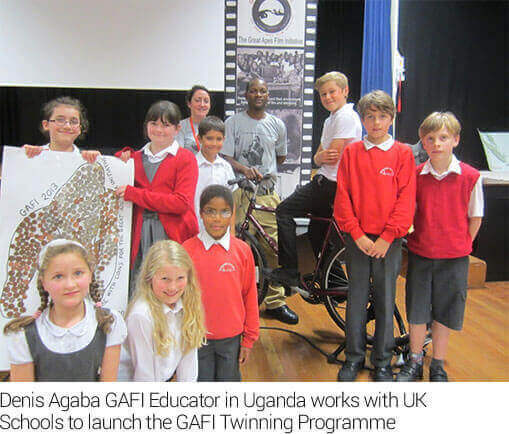 GAFI are currently buying a UK Pedal Powered cinema and offering the School Twinning programme to schools across the UK.